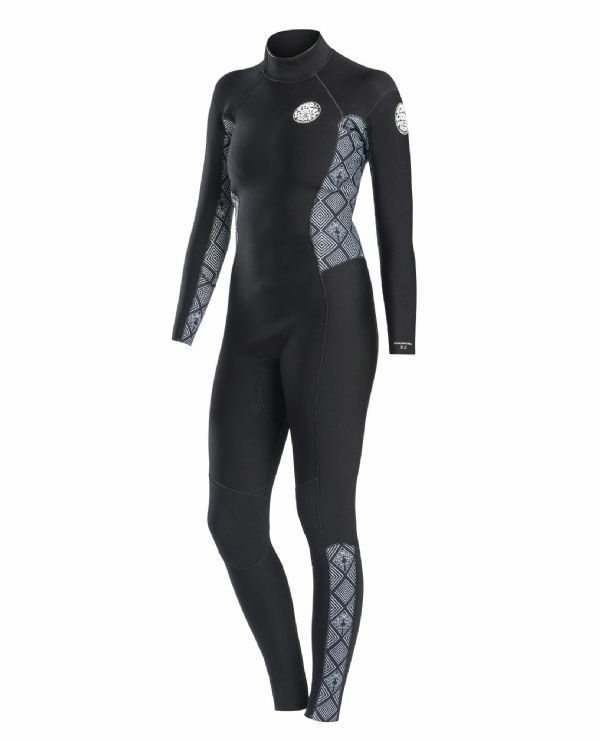 This is an easy to use, back zip entry, autumn, early winter and spring wetsuit. A batwing behind the zip keeps water out while E5 neoprene across the shoulders and arms allows greater flexibility. The body of the 'suit is E4 Thermoflex to ensure warmth. E5 tape on all stress points helps keep the wetsuit intact. Rip Curl have been making surfing wetsuits since 1969. They have been at the forefront of all wetsuit innovations since then. Rip Curl designed and built the Elasto almost 20 years ago to satisfy the demands for a light, warm and flexible wetsuit. That technology has been improved year on year since. Men's and Ladie's wetsuits feature all the latest technological innovations and we believe they are the best surfing wetsuits in the world today. If you need a Hooded Flash Bomb, Flash dry lined wetsuit for ice cold water or a thin E-Bomb summer layer, Rip Curl have the product for you. The budget Omega gets you in the water at an affordable price but does not compromise on neoprene quality. Closed on Wednesdays outside school hols. We are a real surf shop not just a mail order company! We are located in North Wales, UK - in the centre of Abersoch. If you need advice on any surfboard, wetsuit or other product before you buy - please email us or phone the shop on 01758 713067. We are open from 10.00 until 16.30 and closed on Wednesdays. Free Delivery.... When you spend over £75 your goods are delivered fast & free to your door (except surfboards which cost £30 and can only be delivered to mainland addresses). Normal delivery in the UK is 1 to 3 days and within a week across the EU. We can't send Surfboards outside mainland UK at the moment.